Welcome to YOUR EnglishZone Home Edition! 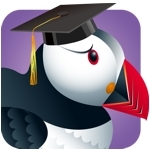 Use Englishzone with Puffin Academy! on the iOS and Android platforms. Need free access to level-1?